September 4th - 6th in Corpus Christi. 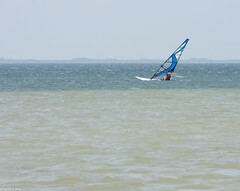 To preserve my mental health, I need a windsurfing trip ASAP. No more procrastination. No more excuses. 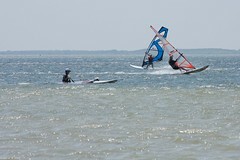 Labor day weekend is now windsurfing weekend. I'll be staying at the economical Motel 6 near the island again. Is it luxury? No! But it is a few blocks from excellent breakfast food. The big 6 isn't far from a big dinner at Ichiban either. And on the way back to the Six from Ichiban? A Spec's liquor. I'll leave the rest up to the reader as an exercise. As always, Worldwinds will be hosting the beginners and the renters. Be sure to get your reservations for classes and gear in early -- it is labor day. If you decide to come, you'll want to follow the 5 magically easy steps to prepare.